Goodell said the league previously explored the possibility of adding penalties to the list of reviewable plays, but that coaches resisted. ATLANTA – NFL commissioner Roger Goodell acknowledged publicly for the first time Wednesday that officials in the Rams-Saints NFC Championship Game should have called a pass-interference penalty on a critical play late in the game. Goodell also said the league’s competition committee would look at possible solutions to avoid similar situations – including the expansion of instant replay to cover penalties – but suggested unintended consequences of a rule change might prevent such a move. 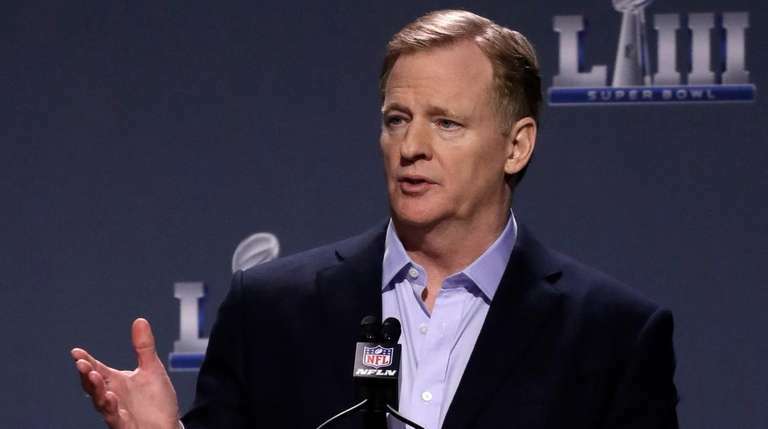 Goodell made the remarks in his annual state-of-the-NFL address in advance of Super Bowl LIII. He said senior director of officiating Al Riveron told coach Sean Payton shortly after the Saints' 26-23 overtime loss that a penalty should have been called on Rams cornerback Nickell Robey-Coleman. Had the penalty been called near the Rams’ 5-yard line, where Robey-Coleman made helmet-to-helmet contact with receiver Tommylee Lewis before the ball arrived, the Saints likely would have been able to run down the clock and attempt the winning field goal in the final seconds. Instead, the Saints kicked a field goal with 1:41 remaining, and the Rams drove and kicked the tying field goal with 15 seconds left in regulation. Goodell said the competition committee “will definitely consider” a change to the replay system, but cautioned about potential dangers. Riveron, who is based in New York, decides instant- replay challenges and reviewable calls in the final two minutes of each half. Many Saints fans have called for Goodell to vacate the Rams’ victory and require the teams to replay the end of the game – or even the entire game. Goodell said he never gave consideration to that scenario, and cited an NFL rule that prohibits a score from being overturned over an officiating call.